It’s been a while since Vogue Russia last captured our attention — the September issue featuring a trio of Russian supermodels, to be exact. The magazine is back on our radar for February 2019 with two covers featuring Dutch beauty Birgit Kos. 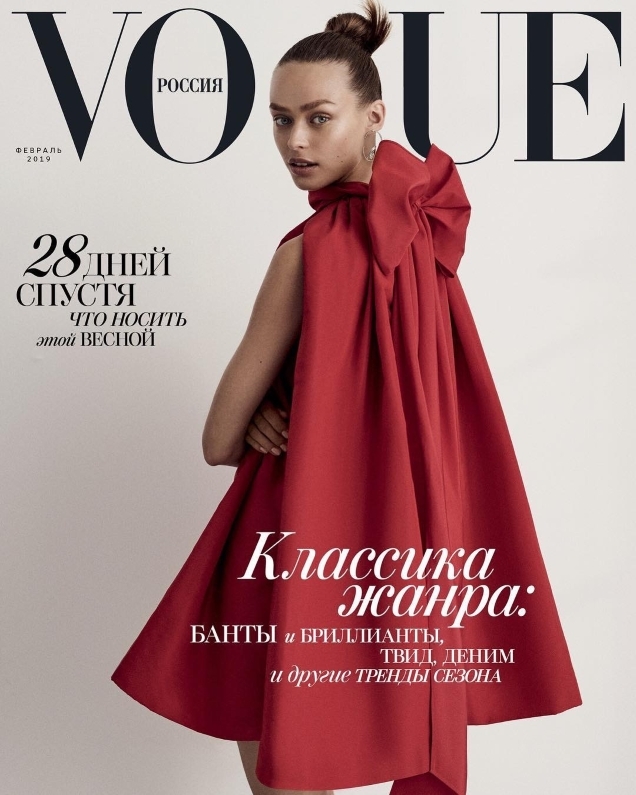 Currently one of the industry’s most in-demand models, Kos was photographed by Giampaolo Sgura flashing a big smile, wearing a bold red lip and some Miu Miu double denim in the first cover, while dialing up the glam in a Valentino creation for the second cover (after the jump). According to a select few of our forum members, Birgit deserved a whole lot better. “Very boring!” said Perickles immediately after the covers broke. “Seriously, I have no interest in Giampaolo Sgura’s work,” added ChicSaks. “I’ve seen this concept/colors before… and photographed by Sgura,” jorgepalomo said. Not everyone was disappointed by the two covers. “These covers are very cute. I don’t like the styling in the first one but Birgit’s smile is so compelling. The second cover looks good too, love the dress and the expression. I usually can’t stand Sgura but these work for me!” confessed apple. “So happy to see Birgit. She looks great in spite of the bad styling,” said tjasmine. “Brigit is so pretty she can pull anything off. She should continue to work with Sgura. They seem to produce excellent work together,” GivenchyHomme said. Which cover will you be hunting down, if any? Check out Birgit’s accompanying cover story and add your own two cents here.